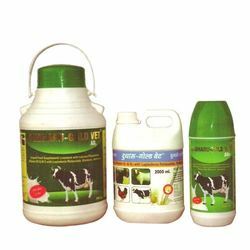 In our large line of medicines we provide Cattle Feed Supplement. From this category of products, customers can avail Animal Feed Supplement, Nutritional Feed Supplement, Veterinary Supplement, Liquid Feed Supplement 1000 ml, Feed Supplement and Liquid Animal Feed Supplement. 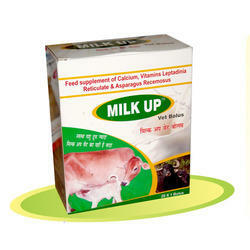 We also offer Vitamin & Mineral Liquids and Milk - Up Vet. This array of supplements is formulated utilizing quality-approved ingredients which are obtained from noted vendor base. We are one of the renowned manufacturer and supplier of a wide range of Nutritional Feed Supplement. These supplements can be availed from us in different quantities as per the requirements and demands of our valued clients. Our range of poultry feed supplements is hugely demanded in the poultry industry and we offer our range in market leading prices. 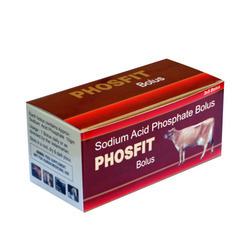 Sodium Acid Phosphate 10 gm. 1 Bolus daily or as directed by the Veterinarian. Tri. Calcium Phosphate 4.8 gm. 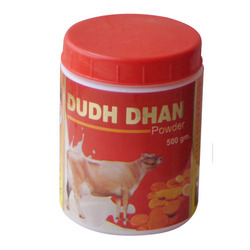 Di Sodium Hydrogen Phosphate 175 mg.
Customers can avail Dudharu Gold or Cattle Feed Supplement from us. This range of medicines is formulated pure herbs as well as ingredients which are obtained from noted vendor base of the industry. Our medicines improve the milk production in cattle and help in forming strong bones of the baby animals. It also improves skeletal growth and hatch ability of fertile eggs. Nutritional value per 100 ml approx. Leptadenia reticulata Extract 300 mg.
We have gained immense recognition among clients by providing an excellent quality array of Dudharu Gold Cattle Feed Supplement. 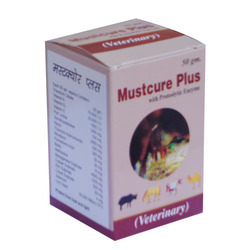 We are dealing in Must Cure Veterinary Feed Supplement which safeguard the animals against heat and light. This Cattle Feed medicine contains efficient proteolytic Enzyme. Recommended for sub-clinical mastitis, this range of medicines adjunct to antibiotic therapy. It can be fed 50 gm powder 4 consecutive days daily by mixing with jaggery or as an electuary. Looking for Cattle Feed Supplement ?